Play golf in all weathers in Val d’Isère! The Aqua Leisure complex lounge area offers the ideal opportunity to work on your swing whatever the weather with the ultra realistic indoor golf simulator. 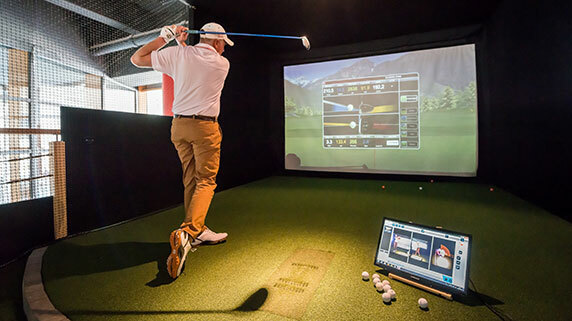 This innovative, high-tech equipment, which offers the cutting edge in technology, provides a selection of virtual golf courses with larger than life details and 3D effects. Aimed at both amateurs and professionals, this jewel of modern technology calculates real time data such as ball and club speed, distance, hitting angle, back and side spin etc.